Located in the Heart of Manhattan's Dazzling Theatre Mecca, New York's most exciting District. The Marquis delivers the Quintessential Big Apple Experience. Surrounded by 30 Broadway Theaters and within walking distance of Restaurant Row, 5th Avenue, Lincoln Center, Empire State Building, Rockefeller Center, Carnegie Hall, Madison Square Garden, and the Museum of Modern Art, as well as Premier Shopping, close to bus and train stations. $250 - $480 per room per night Click here for detail rates. All-Suite 4-Star Hotel conveniently located in the Heart of Broadway and just blocks from Rockefeller Center, Radio City Music Hall and within minutes of every Highlight of New York City. Offers a Family Floor, a Kids Club, Corporate Suites and Award Winning Meeting Facilities. $370 - $425 per room per night Click here for detail rates. 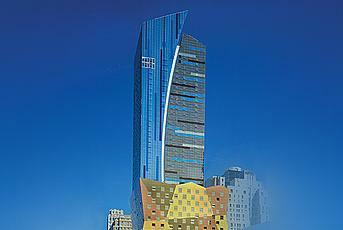 46 story tower hotel with 770 rooms. 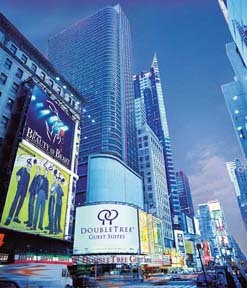 Situated in the Heart of the Theatre District, 2 blocks from Radio City Music Hall. $260 - $336 per room per night Click here for detail rates. Located in the heart of midtown's theatre district, Central Park, Carnegie Hall and Broadway Theatres. All Suites that boast a minimum of 560 square feet. $249 - $529 per room per night Click here for detail rates. 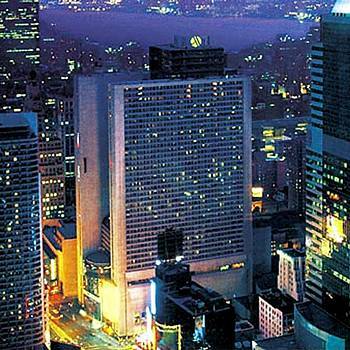 Luxury Hotel in the Heart of Midtown Manhattan, in the center of the financial district. Its' spacious guest rooms are clean, comfortable and well appointed, all with modern conveniences. $179 - $519 per room per night Click here for detail rates. The Plaza reigns over New York with a grace and glamour that has drawn visitors from around the globe throughout the century. From glorious meeting rooms and palatial ballrooms to the brilliance of the legendary restaurants, The Plaza dwells in a class by itself. $275 - $2250 per room per night Click here for detail rates. A 45-story tower, split by a soaring beam of light, beckons visitors to take part in the excitement of the 'city that never sleeps.' The design blends earth with sky, exterior with interior. Exciting group gathering spaces, accommodations built for today's business traveler, and state-of-the-art meeting facilities confirm that The Westin New York at Times Square is Manhattan's business hotel for the 21st Century. $254 - $721 per room per night Click here for detail rates. 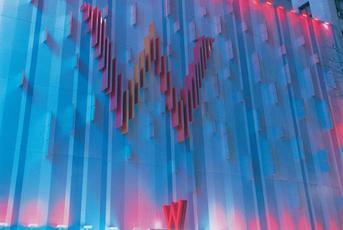 W New York - Times Square, an oasis of calm in the midst of the flurry of a revitalized Times Square. From the moment you step inside, you will be transported to a Zen-like environment. Quiet colors, calming textures and a dramatic glass-encased waterfall that soothes the senses. $255 - $519 per room per night Click here for detail rates.